← Quotations: And other people say . . . 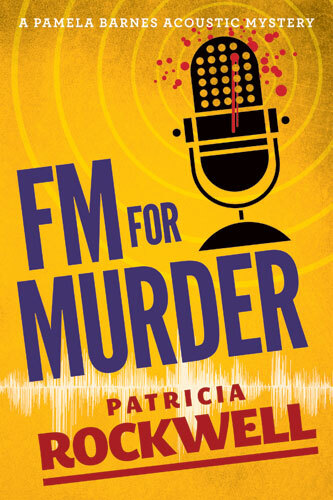 Sounds of Murder 2010 and FM for Murder 2011, are Patricia Rockwell’s first two cozy mysteries. I encountered them by chance, like so many things these days, on Twitter. 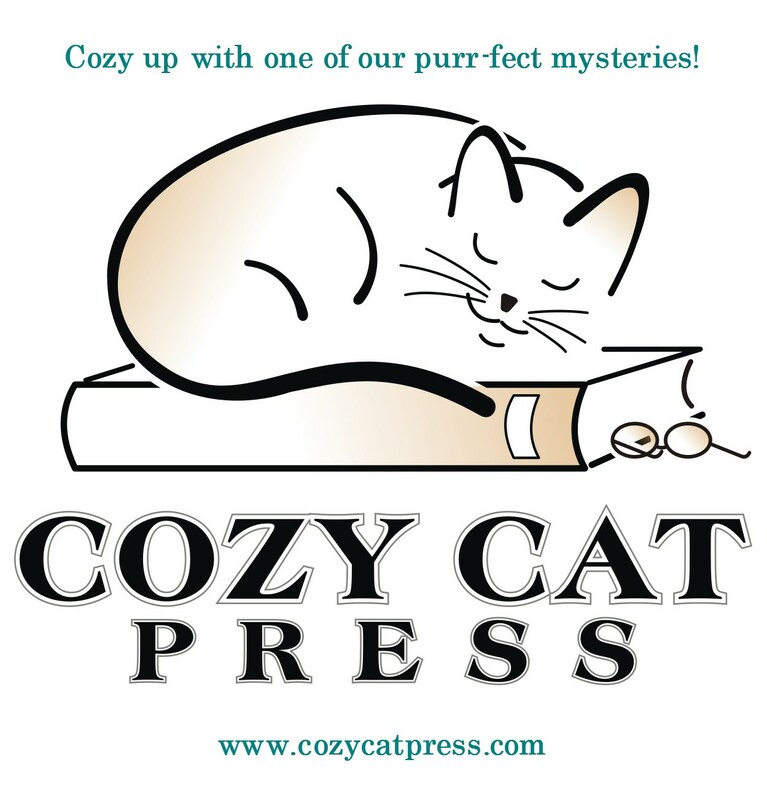 They are both published by Rockwell’s own small publishing house, the CozyCatPress. I bought and read the first in paperback and the second on Kindle. As a life-long academic turned mystery writer myself, I read the first mystery by former Professor of Communications, Patricia Rockwell, with more than academic curiosity. Can an academic really hack it in the world of professional mystery-writing for the mass audience? How, I wondered, would she deal with all the new tasks required by this kind of writing? Moving the story along at the fast pace that, we are told, mystery-readers demand, creating the necessary suspense in the plot, making her characters live for the reader, liking them enough herself to draw them with sympathy, yet making it plausible for one of them to have committed murder, putting them in a realistic drawn setting without loading the story down with excess description . . . how would she manage all of this, and more? I very soon stopped thinking of the novelist and her tasks because, after a page or two, the story itself drew me in, and I was rapidly turning the pages with all the other mystery readers to see what happened next. The strength of this first novel is the plot. Right at the beginning, a professor of psychology, Pamela Barnes, with a specialty in the use of acoustic software, finds a murdered colleague in a computer lab, and the story immediately takes off and flies all the way to its very clever solution, the professor using her expertise to unmask the murderer. Yes, this is, I suppose, what is called a “cozy mystery,” in that apart from the initial murder there are no gruesome scenes or violent behavior or language. The initial murder is in itself horrible enough, but as usual in this kind of mystery the focus is on the detection process which, oddly enough, usually takes one’s mind off the details of the act itself. And there are numerous scenes of cozy domesticity in the happy home of Professor Barnes, where her husband, Rocky, not only loves her warmly and passionately but does all the cooking. A distinctly cozy touch is the appending of some of Rocky’s recipes to the novel. There is also—I would say, fortunately—a little human nastiness in the story since we are also firmly rooted here in the genteel but back-biting world of the university. This is an out-and-out murder mystery, however, not a disguised exposé of the underbelly of academe, and there are moments of high suspense and genuine fear. I did not guess who the murderer was, so never quite knew to what extent the sleuth/heroine/professor was endangering herself in her own attempts to unravel the mystery, a good means of ratcheting up the suspense. I was curious to find out which of these cultivated, intensely competitive academics had actually committed the murder. Anyone outside academe who might think that issues of tenure and promotion lack drama will be quickly disabused of this notion when following the twists and turns of events in the Psychology Department of Rockwell’s Grace University. The story over, I emerged from my absorption in the plot and the atmosphere, and thought, yes, Patricia Rockwell did manage very well the presumed tasks of the professional mystery-writer. I would rate this as a successful first mystery, likely to sell to habitual mystery readers. It is marred only by some sloppiness in editing, and a sometimes artificial attempt to adapt to narrative techniques as if, for example, an overly eager creative writing teacher had gone through the manuscript crossing out “he said/ she said” and putting in unlikely variations, “he/she squeaked, smirked, scowled…etc.” Such small flaws do not prevent this novel from being a good read, and I expected to find them ironed out in the second novel of the series. I was not disappointed in this. FMforMurder, the second o ne, is editorially more polished. It is another “Pamela Barnes acoustic mystery” and I wondered whether Patricia Rockwell could again pull off the use of acoustic technology to solve a murder case. This might sound like a dry and technical method of detection, but it is not. On the contrary, once again, the plot hinges on matters of sound, and once again, it is the ingeniousness of the plot, rather than any in-depth character analysis, that draws the reader in, builds up the tension and constitutes the strength of the novel. As in the first novel, the gradual uncovering of acoustic clues leads inexorably and excitingly to the identification of the murderer. The prologue throws the reader, without explanation, into an actual radio broadcast in which a disc jockey, ominously called Black Vulture, regales his after-midnight audience with (to me largely impenetrable) talk of “goth” music, vampires, alternative rock and such like. I hurried through this, somewhat annoyed at having to take in such nonsense, but soon realized that it was not non-sense after all—it set the scene very deliberately for the story of the disc jockey whose appalling patter about blood, coffins and torture, interspersed with ads for local businesses, ends with an actual gunshot, right there on the radio. The scene is set, the crime is—literally—recorded, and Professor Pamela Barnes and her colleagues and students in the Psychology Department of Grace University have another acoustic mystery to solve. Some familiar colleagues from the first novel crop up again, as does the family of Professor Barnes, and that is very nice (and cozy). One likes to see familiar faces. But the narrative technique of this novel is more complex than that of the first. Thrown by the prologue into the recording studio and the murder itself, we are then carried back and forth, chapter by chapter, between two time frames, one five days before the murder and one beginning the day after the murder. I did not care for the designations “past” and “present” to describe these two time frames. I would have preferred it if the dates had simply been given and the reader left to work out the sequence. I did also find the dialogue and depiction of Professor Barnes and Co. in the time after the murder more convincing and realistic than the dialogue and depiction of the Bridgewater family in the other time frame, perhaps because the ambiance of the university is more familiar to me (and to Patricia Rockwell?) than that of a carpet manufacturing business. However what was really impressive about this narrative technique was the way the two time frames gradually came together, the second time frame culminating in the murder itself, at which point everything became clear, and it only remained for the characters of the two time frames to come together and the murderer to be caught. Again, as in the first novel, I did not at all guess at the solution which was ingenious but plausible, and seemingly inevitable. This is, in my view, one mark of success for the solution of a murder mystery: Inevitability without predictability. And Patricia Rockwell has done it again. I would call these novels five-star cozies. I read them quickly, one after the other, and I will be happy to pick up the next Pamela Barnes escapade when it comes out. I suspect they will get better and better. They look to me like precisely the kind of novels that will do well with the mystery-reading audience looking for a fast and entertaining read. I am very happy that Patricia Rockwell has agreed to be interviewed for this blog, and I will post the interview on Friday, May 20. This entry was posted in cozy mystery, mystery and tagged acoustics, college setting, Patirica Rockwell. Bookmark the permalink. Wonderful reviews! As much fun to read as the books, in my mind! Best wishes. These sound great, Dorothy. I’m off to check them out! Thanks.